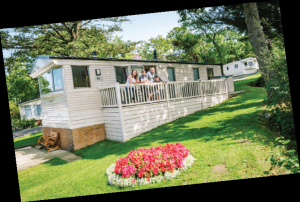 Located at the foot of the Penmaenmawr Mountain, overlooking the spectacular coastal views from Llandudno and across to Anglesey, Puffin Island and beyond, Craiglwyd Hall Caravan Park is truly a holiday location that stands out from the crowd.Surrounded by natural beauty, this secluded luxury park is perfect for a peaceful get away, but at the same time is close to popular resorts and attractionsand has easy access to lovely mountain walks. On site,Craiglwyd Hall offers visitors a play area, on site bar, games room, gym and is a dog-friendly location.The flag ship of the Thornley Leisure group, the park’s many awards include a top five-star tourist board grading – but according to managing director David Thornley, the latest Go North Wales accolade has an extra significance “The award is especially important to us because it recognises not just the quality of the park’s facilities and surroundings, but also the levels of hospitality and service provided to guests. “It’s our staff team which deserves the lion’s share of the credit for this, and they do a great job in making everybody feel welcome and helping them enjoy their stay. “It’s been a superb year for Craiglwyd Hall Caravan Park and the group as a whole, and I hope the publicity from this award will help benefit all tourism businesses here in North Wales,” added David. Situated on the north coast of County Conwy between Anglesey and the Menai Straits, the park provides tranquil landscaped grounds in a picture-postcard setting. 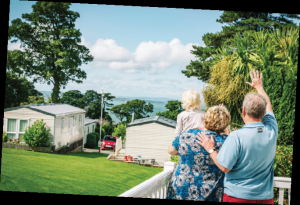 It has long proved popular with families wishing to own a caravan holiday home in one of North Wales’s most popular areas for lovers of natural scenic beauty.